It is the first as well as last work. On completion of successful Data Migration for Go-Live, EOD (COD) / BOD for the first time will be performed by DMCC / DC. 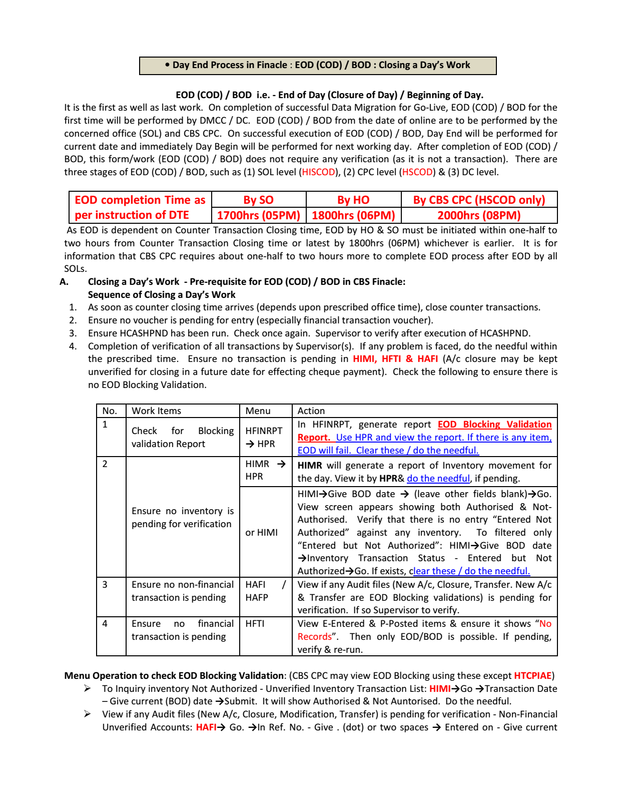 EOD (COD) / BOD from the date of online are to be performed by the concerned office (SOL) and CBS CPC. On successful execution of EOD (COD) / BOD, Day End will be performed for current date and immediately Day Begin will be performed for next working day. 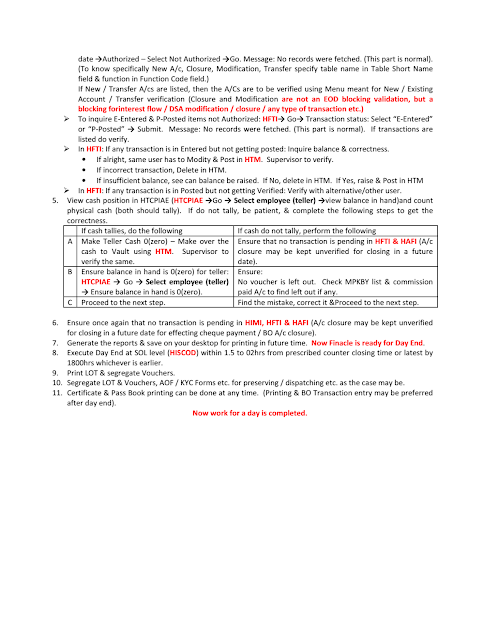 After completion of EOD (COD) / BOD, this form/work (EOD (COD) / BOD) does not require any verification (as it is not a transaction). There are three stages of EOD (COD) / BOD, such as (1) SOL level (HISCOD), (2) CPC level (HSCOD) & (3) DC level.